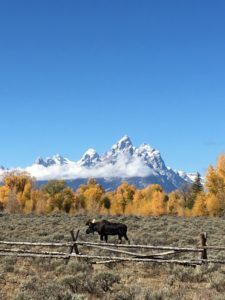 A question I’m often asked is: What should I do in Jackson, Wyoming? For good reason, I mean, with fewer than 600,000 residents in the state, who else are you going to ask? Traveling, researching, being in nature, learning, exploring, sharing, tasting and physical activity are all soul food. 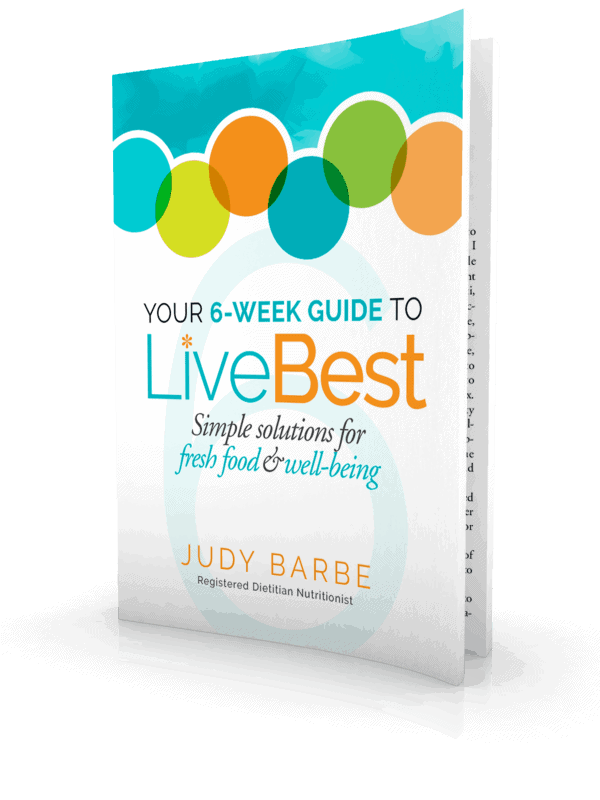 I highlight the importance of feeding your soul in my book, Your 6-Week Guide to LiveBest, Simple Solutions for Fresh Food & Well-Being . 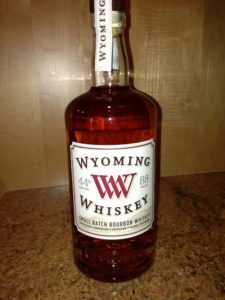 A visit to Wyoming will feed your soul! 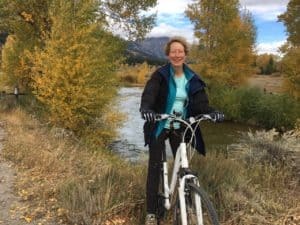 Here are seventeen things I like to do in Jackson Hole (Jackson Hole is the valley; Jackson is the name of the largest town in the valley). Ride a bike. With miles and miles of bike trails, this is a great way to explore the country. Enjoy a scoop of ice cream at Moos Gourmet Ice Cream. Belly up to the bar at the Silver Dollar Bar in The Wort Hotel. The bar has 2,032 uncirculated 1921 Morgan Silver Dollars inlaid in it. Sip something at Dornan’s Bar. Enjoy some of the restaurants I like: Trio, Snake RiverGrill, Bin 22, Pearl Street Bagels, Creekside Market & Deli, Nani’s, Café Genevieve, King Sushi. Visit the Vertical Garden. This greenhouse sells fresh vegetables year round to Jackson area restaurants, grocery stores and directly to consumers. Hike in Grand Teton National Park (about 20 minutes from Jackson). Explore the world’s first national park: Yellowstone National Park (about 1 hour, 15 minutes from Jackson). 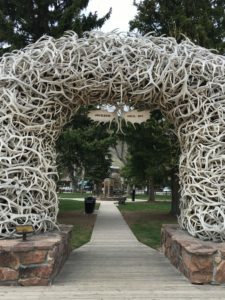 Walk under the four elk antler arches in Town Square, then smile at the webcam on Broadway and Cache. There are 2,000 elk antlers on each of the four arches. Marvel at the Tetons. The Grand Teton, at 13,770 feet, is the second-highest peak in Wyoming. Watch the wildlife. You are likely to see elk, moose, bison, pronghorn antelope, black and grizzly bear, mule deer, and Trumpeter swan. A word of caution: these animals are wild, unpredictable and strong. Watch from a distance. And be careful with those selfies! Look up! The stars are visible in Wyoming skies. Nosh at Persephone Bakery. Repeat. Shop Knit on Pearl for Wyoming yarns. Visit the Saturday Farmer’s Market. Recognized as one of the top 50 market’s in the country, you’ll see locals and enjoy regional specialties. 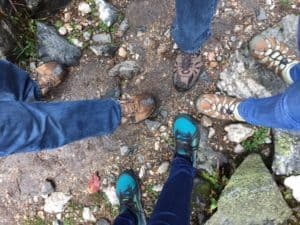 At 6,300 feet above sea level, Jackson is considered “high-altitude.” To acclimate to the lower oxygen in the air, stay hydrated, limit alcohol and let your body adjust before strenuous activity. Higher altitude also means there is less atmosphere between you and the sun so wear sunscreen. If you haven’t visited the “Equality State,” here are some facts about Wyoming. Wyoming is home to the largest antelope population of any state or province. There are two escalators in the state. Both are in banks. We wave at people when we drive. With your hand on the steering wheel, lift your pointer finger to acknowledge people, especially on 2-lane roads. When we walk, we smile and make eye contact with people we pass on the street. The University of Wyoming is the only four-year institution on the state. Wyoming is the 9th largest state in the United States with 97,914 square miles. From the north border to the south border it is 276 miles; from the east to the west border, 375 miles. License plates in Wyoming feature the Bucking Horse. The number on the far left of the license plate represents the county from which the plate was issued. There are 23 counties. On August 21, 2017, the eclipse will make its way across Wyoming. Enthusiasts from around the world are making their plans to watch the event. The Great Plains meet the Rocky Mountains in Wyoming. The state is a great plateau broken by a number of mountain ranges. The Continental Divide cuts through Wyoming from the northwest to the south central border. Rivers east of the Divide drain into the Missouri River Basin and eventually the Atlantic Ocean. They are the Platte, Wind, Big Horn and the Yellowstone rivers. The Snake River in northwest Wyoming eventually drains into the Columbia River and the Pacific Ocean, as does the Green River through the Colorado River Basin. Wyoming has the second highest mean elevation in the United States at 6,700 feet above sea level. The climate is semiarid, but because of its topographical diversity, it is also varied. In 1869 women were granted the right to vote. That’s how the nickname “Equality State” came to be. We have one are code for the state (307) and are in the Mountain Standard Time zone. What have I forgotten? 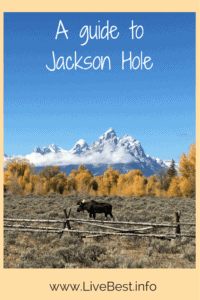 Let me know what you like to do in Jackson Hole and Wyoming. P.S. See more LiveBest travel tips and recommendations. 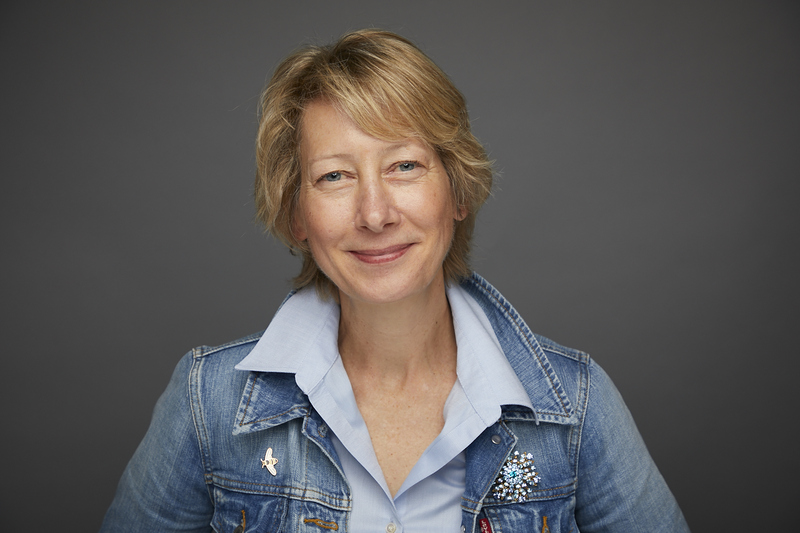 Sign up for delish nutrish recipes in my newsletter here. I love this post! Thank you, Judy! Thanks, LB. I bet you have something to add to the list!